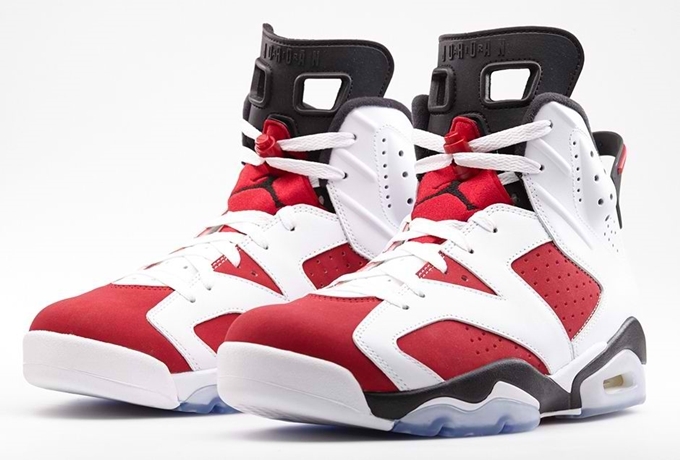 Jordan Brand has released one of the most anticipated shoes this month – the Air Jordan 6 Retro “Carmine” that is now available in select Nike accounts worldwide. This edition, which is officially listed as the White/Carmine-Black colorway of the shoe, features a white and carmine-based upper part along with several black hints and icy translucent blue outsole. It was last released in 2008 as part of that year’s “Countdown” pack. The Air Jordan 6 Retro “Carmine” is now available for $170 per pair. It will also be available in gradeschool sizes for $120, preschool sizes for $75, and toddler sizes for $55 per pair. Make sure to check this sneaker out as soon as possible!